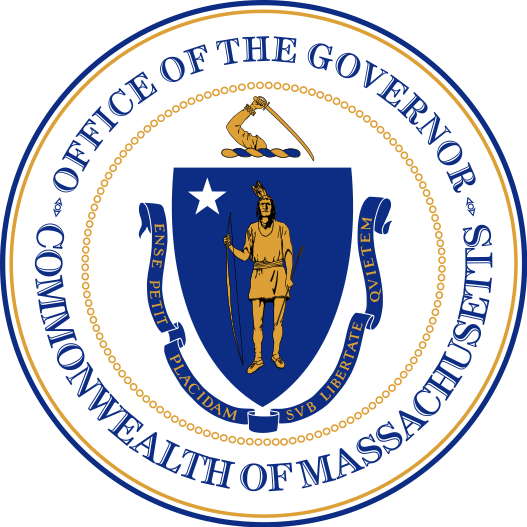 BOSTON — Today, Governor Charlie Baker signed the Fiscal Year 2019 (FY19) budget into law. The $41.232 billion plan reinforces the Baker-Polito Administration’s commitment to structurally balancing the state budget, while investing $4.91 billion towards K-12 education, providing over $200 million to combat the opioid and heroin epidemic, increasing funding to build stronger communities and supporting the state’s workforce from job growth to public transit. The FY19 budget anticipates a sizeable deposit in the Stabilization Fund, resulting in a net increase of $368 million for this fiscal year and a total balance of $2.15 billion by the end of FY19—which is nearly double the balance since the Baker-Polito Administration took office in 2015 and the highest amount in more than a decade. The budget reflects the Administration’s commitment to reducing the reliance on one-time sources of revenue, down from nearly $1.2 billion in Fiscal Year 2015 to $95 million in FY19, a decrease of 92%. Consistent with the administration’s previous budgets, this plan does not raise taxes or fees. The FY19 budget represents a 3.2% increase in spending over estimated spending in Fiscal Year 2018 (FY18). The total $41.232 billion in spending excludes the Medical Assistance Trust Fund transfer. The Commonwealth’s investment in Chapter 70 education aid to local schools will reach an all-time high of $4.91 billion, an increase of $160.6 million over FY18 and $507 million since the Administration took office. The budget also includes an increase in the state Earned Income Tax Credit from 23% to 30% of the federal tax credit, and builds on an earlier increase from 15% to 23% signed by the Governor in 2015. The tax credit increase, which was included in the Governor’s FY19 budget proposal, will provide additional tax relief for 450,000 filers, allowing working families in Massachusetts to retain more of their earnings. Next year an income-eligible family with three qualifying dependent children will receive a tax credit of nearly $2,000, or $458 more than at the current rate. The budget also increases the dairy farm tax credit. The FY19 plan continues the Administration’s support of local communities with a $37.2 million increase in unrestricted local aid, to $1.1 billion, an increase of $153.2 million since taking office. The budget includes $5.3 million for the Community Compact Cabinet program, and FY19 funding will reach $6.8 million total, pending approval by the Legislature of $1.5 million in additional funds. Chaired by Lt. Governor Karyn Polito, the Community Compact promotes municipal best practices and supports efficiency and regionalization grants for cities and towns. As of May 2018, all 351 cities and towns in the Commonwealth have signed compacts with the Commonwealth. The FY19 budget continues the Administration’s focus on addressing opioid addiction and substance misuse, funding $203 million across multiple agencies (not including MassHealth) for treatment and services for individuals with substance use disorder, an approximately 70% increase since 2015. The budget will continue support for women’s addiction treatment services at Taunton State Hospital and programs at the Massachusetts Alcohol and Substance Abuse Center in Plymouth. The budget makes a major investment in behavioral health with a $109 million increase in funding for the Department of Mental Health, which includes $83.8 million for Adult Clinical Care Services to improve community-based services for adults with serious mental illness. The Department of Children and Families will receive $1 billion in funding, an increase of $34.2 million over FY18. Since 2015, funding for DCF has increased by $180.2 million, which has supported the hiring of more than 600 new employees to address the critical infrastructure needed to run the agency. The budget makes important progress toward funding accounts that traditionally have been underfunded and typically require significant supplemental appropriations, including snow and ice removal, legal services for the poor, and emergency shelter for the homeless. The Massachusetts Department of Transportation receives $582.5 million in funding, including the MBTA and Regional Transit Authorities. The MBTA will receive $127 million in state support in FY19 to build on the Administration’s commitment to improve financial sustainability at the T, in addition to the annual $1 billion sales tax transfer. As part of the budget-signing, Governor Baker vetoed $49 million in gross spending, including 297 earmarks. Of 110 outside sections, the Governor signed 91, and returned 19 to the Legislature with proposed amendments. In addition to signing the budget today, Governor Baker urged the Legislature to act on a supplemental budget proposal filed on July 13 that invests $150 million for new programs to support education and school safety, including $40 million to fund more school counselors, social workers and psychologists, $30 million for targeted intervention and turnaround efforts in school districts with high concentrations of low-income students and $15 million to fund community college scholarships to cover unmet tuition costs for students with financial need. The supplemental budget also recommends an additional $50 million to fund local road and bridge projects. $319.3 million in special education circuit-breaker funding to assist cities and towns with unanticipated or unbudgeted costs of special education and out of district tuition, a 9% increase over FY18 spending. $876 million for the Department of Mental Health, an increase of nearly $109 million over FY18, including $83.8 million for Adult Clinical Care Services (ACCS), representing an increase of $140 million for DMH since 2015. $2 million for Small Business Technical Assistance grants, an increase of $1.25 million increase above FY18 spending, to provide technical assistance, education, and access to capital to small businesses.